Writing this Shark Tank Success Update for Keen Home's "Smart Vents" isn't because of the products success after the Show. In fact, the smart heating and cooling vents are still in pre-order stage 26 months after the Crowdfunding campaign ended and five months after appearing on the Shark Tank Show. Surprisingly, the reason writing this article came from a sponsored ad for Motley Fool on yahoo's front page. Unfortunately, I haven't seen that headline again, but it certainly grabbed my attention concerning Robert Herjevic investing in a multi-trillion dollar business opportunity on the Shark Tank. If you add up the List of All Shark Tank Products combined since the Show first began, it doesn't come close to $1 billion in total revenue, yet. But according to Motley Fool Investment Site, Robert Herjevic's $750,000.00 investment seen on the Shark Tank could soon make him a multi-billionaire. In all fairness, the article read more like an advertisement (which it was) but it gave a clue what Shark Tank product they were talking about becoming a major player in a new multi-trillion dollar market. 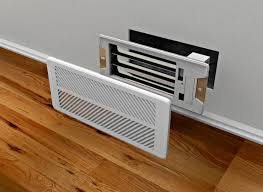 Considering Robert Herjevic only invested $750,000.00 once by himself in Keen Home's Smart Vents, it was clear to any Fan of the Show this is the Shark Tank product Motley Fools is referring to. After re-reading Keen Homes article before their Shark Tank appearance, it appears I was a little hard on them for not keeping their crowdfunding supporters updated when they would finally receive the product. Apparently, the supporters are still waiting with the last official update now over a year old. Fortunately, Co-Founder Nayeem Hussain recently did an interview with INC Magazine answering several questions going all the way back to why it's taking so long bringing this new technology to market. One interesting fact is how fast Nayeem and Ryan Fant took the Smart Vent invention from conception to a working prototype, website and full operating business plan within 60 days. It may have taken two years to further perfect the Smart Vents giving you full control of the temperature in any room in the house, but +Keen Home Smart Vents will soon be available on a major scale. According to Keen Home's website, pre-orders for the Smart Vents "finally" ends in a few days on July 28, 2015. Will the Keen Smart Vents become Shark Tank's Most Successful Product as the Motley Fools has predicted? Considering this was one of Robert Herjevic's largest investments on both the Shark Tank and The Dragons Den, and one of the highest valuations ever given during all the episodes, yes I do believe Keen Homes is "finally" ready to start breaking a few Shark Tank Records. There's not many products that pay for themselves especially in the Smart Home Technology Market, but using Smart Vents to control your homes heating and cooling needs will do just that. It's a Great Idea (First Seen on the Shark Tank :-) that will soon be in millions of homes around the world!